Salt formulas best practices - SaltStack. Writing Apache Flume plugin for Telegraf - Golang. Test configuration management and infrastructure code - Testing. 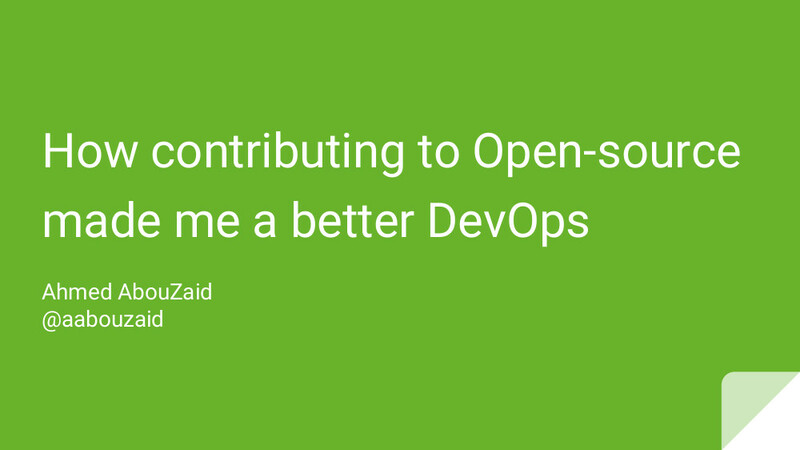 How contributing to Open-source made me a better DevOps - Presentation.